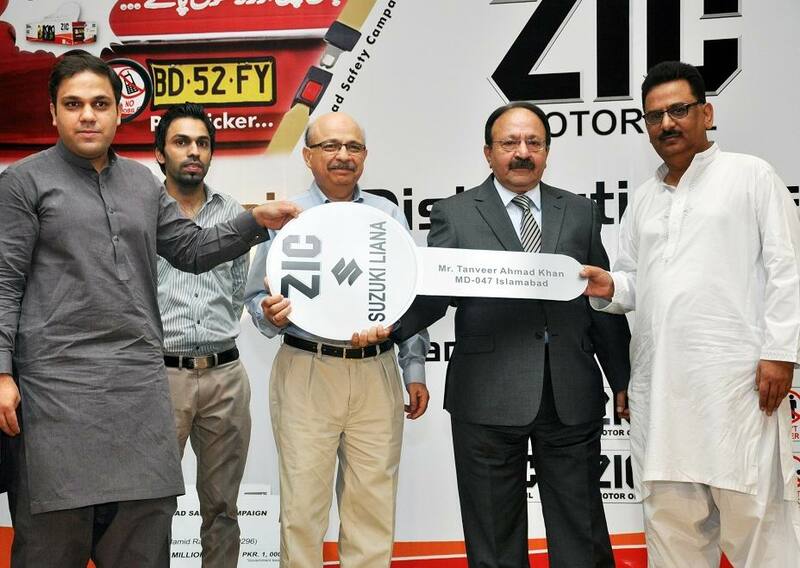 Prize distribution ceremony of ZIC Road Safety Campaign was held at PC, Lahore on 11th May 2012, Seventy (70) prizes were distributed amongst the Lucky Winners. Mr. Tanveer Ahmad won the Grand Prize of Suzuki Liana and Mr. Hamid Raza won the prize of Rs. One Million Cash amongst the 70 Lucky winners.